What a savvy way to always have your business on you. 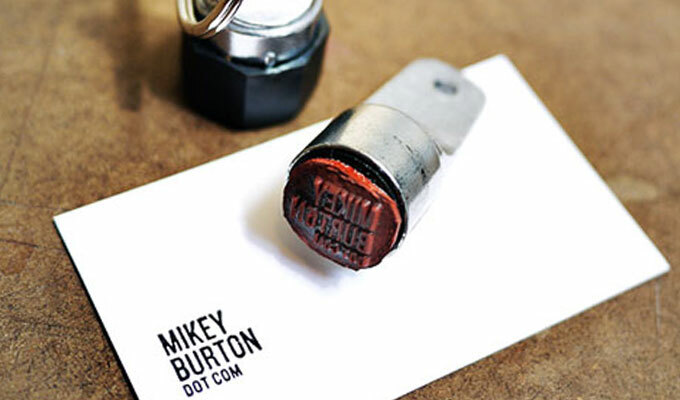 Attach this business card stamp to your keys and you will always have a business card handy. I love this concept... simple, convenient, and always stylish! Cranky Press.com makes this stamp and it is kind of complicated to do. But with the cost being only $26 it it's totally worth trying to figure out. Finding business cards that are chic and cool at the same time is always a challenge. Currently I am using mini cards by Moo.com.